The railway transport accounts for 10-15% of the total flow of goods in the Serbian market, even though its potential, according to experts, is much larger. 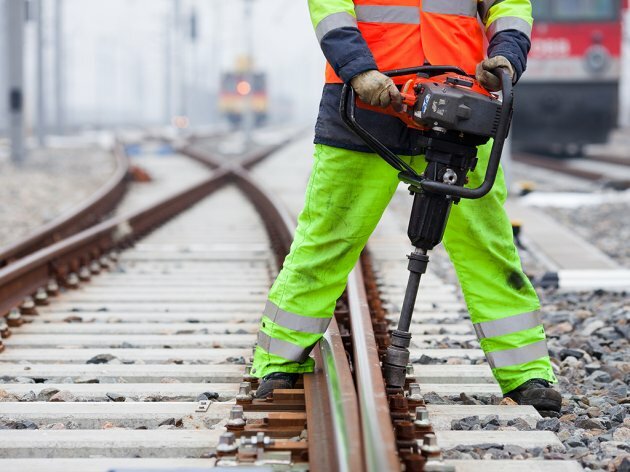 In the coming period, around EUR 3 billion will be invested in the reconstruction of railways in Serbia, and a more quality infrastructure will contribute to an increase in requests for transportation of goods, they emphasize at the Ministry of Construction, Transport and Infrastructure. 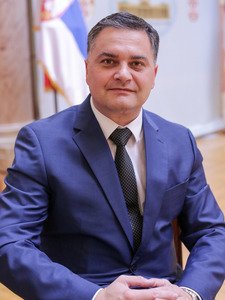 In order to increase the participation of the flow of goods and to make the railways more competitive, however, in addition to improving the infrastructure, a whole lot of other requirements need to be met – from the procurement of a rolling stock and a better organization, to the development of logistics centers, goods terminals and intermodal transport systems and introducing private operators to Serbian railways. Serbia could also benefit greatly from the establishment of the New Silk Road. 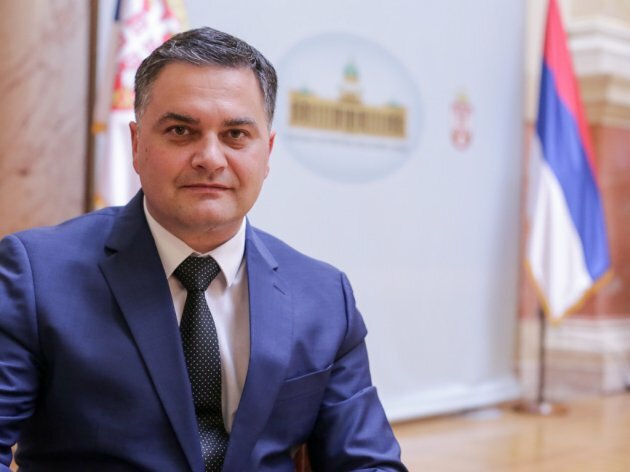 Miodrag Poledica, State Secretary at the Ministry of Construction, Transport and Infrastructure, talks to eKapija about the potentials of railway transport, the perspectives and the current projects on Serbian railways. eKapija: What are the projections for increasing the amount of goods transported by Serbian railways? – In 2015, 11,887,600 tons of goods were transported by Serbian railways, whereas, in 2016, 11,599,200 tons have been transported so far. This data should be qualified by the fact that there were 94 days of traffic shutdown from January till September 2016, and that the routes to Greece were shut down from January 1 till July 15, 2016. When it comes to projections for the coming period, keeping in mind the scheduled works on the public railway infrastructure (Corridor 10 and the Bar railway), due to which temporary traffic shutdowns will take place, the plan is to have 11,975,100 tons of goods transported by railway. In the years to come, the maximum quantities of goods we will be able to transport by railway, with the current infrastructure, will reach 15 million tons a year. eKapija: The long awaited commercial contract on the construction of the first section of the Belgrade-Budapest railway, to be carried out by a Chinese company, has been signed recently. How will this impact the participation of railway transport in the flow of goods in Serbia, since it has been understood as one of the most important projects on Serbian railways? – The modernization, reconstruction and construction of the Belgrade- Budapest railway will have a great impact on the share of railway transport in the flow of goods in Serbia, as a more quality infrastructure will contribute to an increase in requests for transportation of goods, especially considering certain announcements regarding an increased scope of transport of goods from the Port of Piraeus to the north of Europe. Following the completion of works on the Belgrade-Budapest railway, the maximum possible amounts of transported goods might even reach 20 million tons. Furthermore, according to research and the projections, the scope of the redistribution of transport from roads to railways might amount to 10 to 15% following the realization of the project, depending on the area. eKapija: Serbia is located on China's New Silk Road. How can the commercial sector, transport operators primarily, benefit from the initiative for a quicker transport of goods from the EU to China and vice versa? – The idea to establish an economic route along the ancient Silk Road and to form the Maritime Silk Road for the 21st century, through investments in the transport infrastructure, was put into motion at the initiative of the president of China, Xi Jinping. This would facilitate the trade, financial cooperation and cultural exchange between China and the countries lying on the route. Namely, the New Silk Road goes through the Bosphorus and the Balkans region, while, at the same time, its maritime variety ends in Greece, in the Port of Piraeus. Having this in mind, as well as Serbia's position, our country certainly has a great opportunity to become a significant regional trade and transportation hub. In line with the current projections, once the planned investments are realized and the New Silk Road established, the time needed for the transport of goods between Europe and China might shorten by as much as three weeks compared to the current maritime flows. Serbia might benefit greatly from the establishment of the New Silk Road, especially considering the activities carried out by the Government of Serbia to the end of intensive realization of infrastructural projects and creating better business conditions for transportation companies. eKapija: In order to utilize the full potential of Serbian railways, it is necessary to establish logistics centers, goods terminals and intermodal transport systems, through which our economy might connect to the European transport network and maritime ports. How far has the Batajnica intermodal terminal project come? There have been announcements that the construction might begin in 2016. – As part of the project of building the first modern intermodal terminal in Belgrade, the preparation of the main design, the construction, services of expert supervision and equipping of the intermodal terminal , as well as the expropriation of the land, have all been envisioned. It will be possible for the construction to begin in the second half of 2017, but this depends primarily on the approval of grants for this project from the IPA 2015 program. The current ZIT terminal is operational, and it was moved from the Sava amphitheater to the new temporary location within Beograd Ranzirna Stanica – Makis in mid 2016. This way, it is fully capable of serving import and export container flows. eKapija: Since half a year ago, the first private operator has been present on Serbian railways, namely, the company Kombinovani Prevoz. Why has the liberalization of the railway failed to draw a larger number of private operators to Serbian railways? – The Government of Serbia has been very active in reforming the railway sector and liberalizing the railway service market in the past period. Today, any private transporter registered in Serbia and certified and licensed in line with the Railway Law and the Law on Safety can apply for having a route allocated to it within the railway network managed by Infrastruktura Zeleznice Srbije a.d. under the conditions defined by the Network Statement, published annually by the company. The license is owned by 11 railway transporters (including two companies founded by the Government of Serbia), but, of private companies, only Kombinovani Prevoz Beograd applied and had a route allocated to it by Infrastruktura Zeleznice Srbije. The Ministry of Construction, Transport and Infrastructure has created all the necessary conditions for the opening of the railway market, but it is up to transporters to display interest. The most important projects of modernization on Serbian railways are those on Corridor 10, connecting Serbia to Hungary, Bulgaria, Macedonia and Croatia, as well as the Belgrade-Vrbnica-Montenegrin border railway and the Belgrade-Vrsac-Romanian border railway. The project of reconstruction and modernization of the Belgrade-Subotica-Hungarian border railway is also in focus. The sources of finance for the railway projects are EIB, EBRD, the Russian loan, IPA funds, WBIF, the state budget, as well as potential creditors currently being negotiated with.